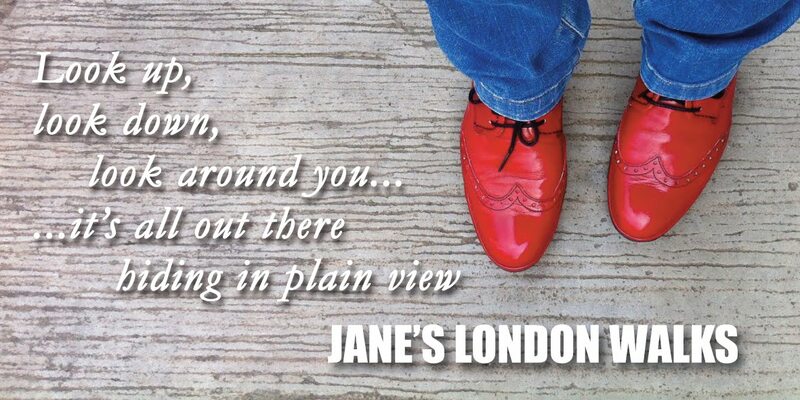 Jane's London: The things that divide us. Pilastercide. The things that divide us. Pilastercide. 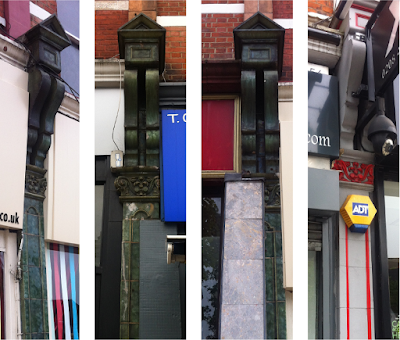 The pilasters that divide shops help delineate where one shop ends and the next one starts. 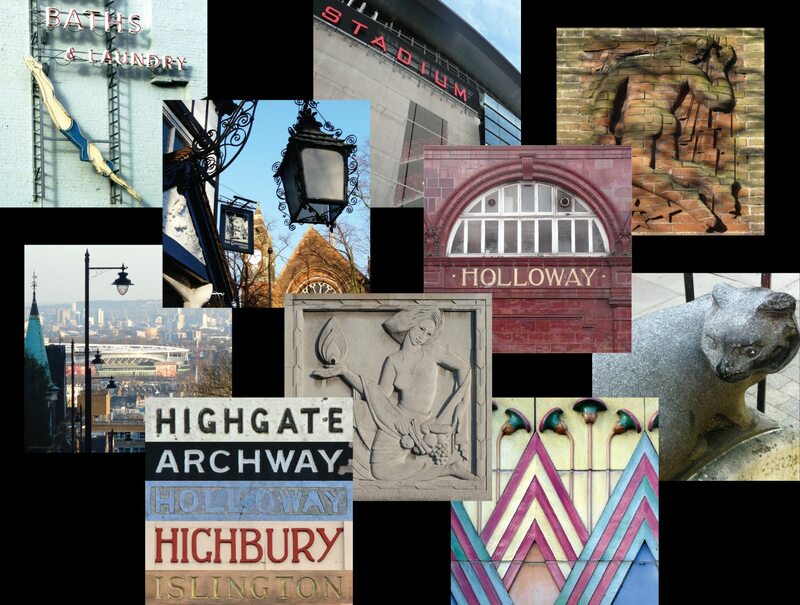 100 years a lot of marvellous effort went into designing and creating them. But shop owners these days don't seem to be able to leave well alone – they've just gotta claim their half of the dividers that bind them. Just up from the Phoenix cinema on East Finchley High Street there is a 1913 terrace with very nice fully-tiled pilasters complete with fancy corbels, capitals and plints. As far as I recall, not one of these remains intact. 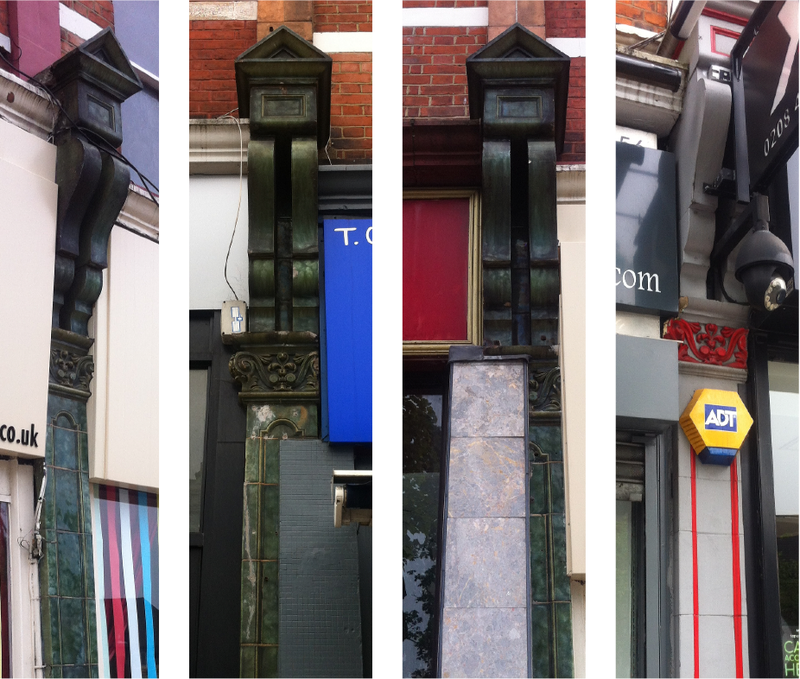 As you can see by these four examples (of the ones that are actually still there or visible) they have been ruined – some have been painted (!) or chipped away at, and others have been partially covered. Such a shame. Why can't these silly shop owners see that a uniform dividers along a terrace help to frame each shop rather than what we have here which turns the whole into a bad patchwork quilt.